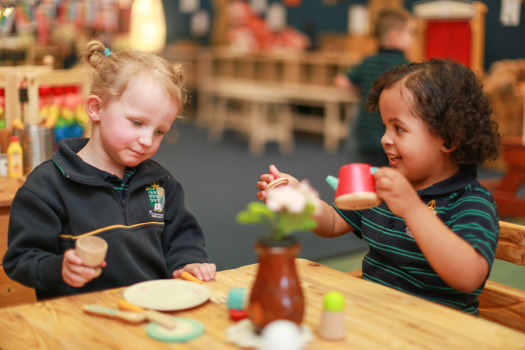 Pre-Kindergarten is a specialist programme for 3 year olds. 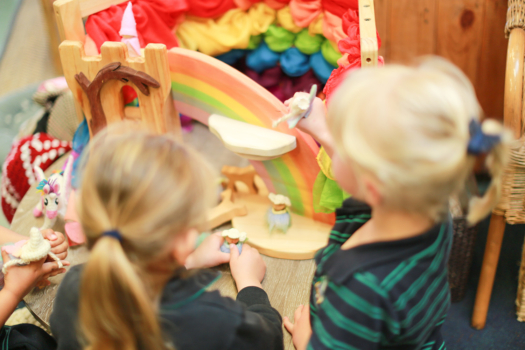 Our play based learning environment provides opportunities for your child to learn as they discover, create, improvise and imagine. 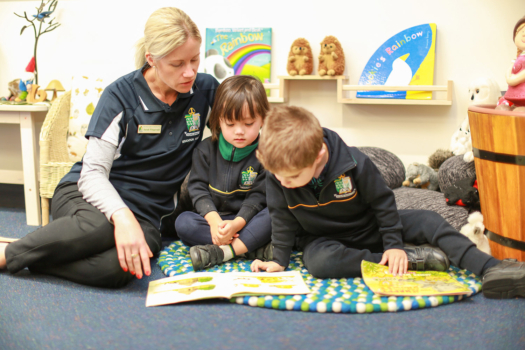 Our Pre-Kindergarten classroom is located in the Early Years area of the Primary School. It is a specially designed classroom with suitable facilities, extensive resources and ample play areas. Our programme is led by fully qualified and passionate educators who are trained in Early Years development and learning. They will tailor learning activities to be responsive to individual children’s ideas, interests, strengths and abilities. There is a maximum class size of 20 children, with two educators per class, ensuring that your child has the attention they need. We provide stimulating indoor and outdoor learning environments including flexible learning spaces and a nature playground. Your child will enjoy our well-equipped, state of the art facilities both in the Early Years area and other parts of our extensive School campus, including our auditorium and gymnasium. 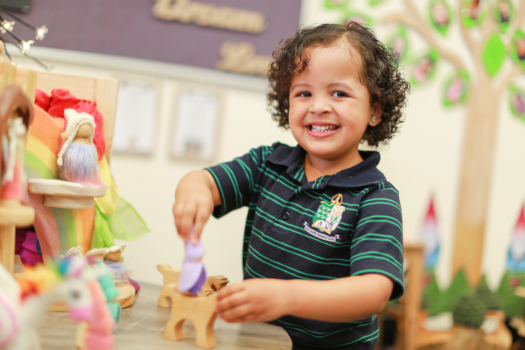 Our innovative approach to the Early Years aims to inspire, guide and encourage your child to flourish. Our philosophy is for all children to experience learning that is engaging whilst building important skills. We believe it is important for children to develop a deepened sense of who they are and become active members of their larger community. Our approach seeks to foster a context for learning in which children develop a strong sense of identity and well-being. Curiosity and creativity are encouraged, enabling children to become confident learners and effective communicators. 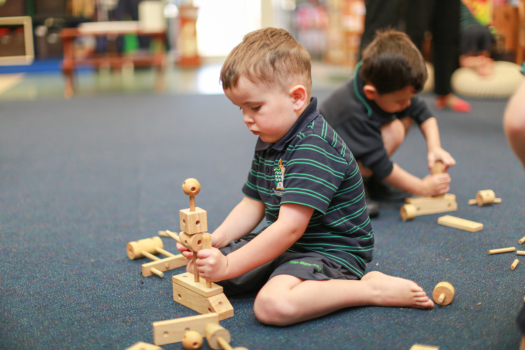 We provide guided learning through play. 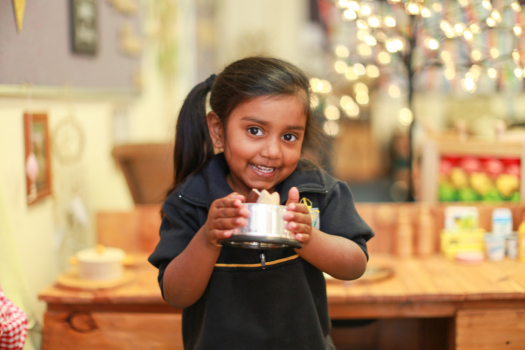 Our dedicated educators encourage a passion for learning in a nurturing environment, whilst drawing on a rich repertoire of skills to promote childhood as a time of belonging, being and becoming. We value the partnership between parents, children and staff and believe that all have an important role in the holistic development of a child. Our goal is for teachers and parents to work together to support, motivate and encourage each child. Our Pre-Kindergarten students will wear a special uniform that will help to identify them as the youngest members of our School community. It will be comfortable and easy to wear. Click here for more information about the Uniform Shop. Parents are encouraged to be involved in their child’s learning. We will provide opportunities for you to spend time with your child in the classroom and our educators are always happy to discuss your child’s learning. 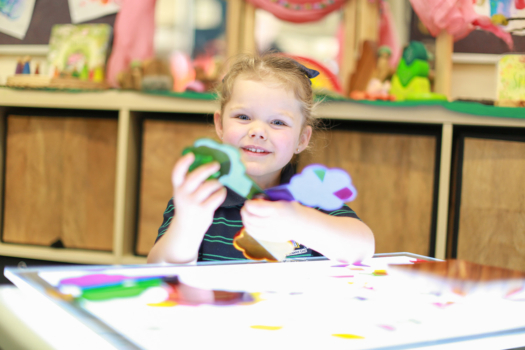 Spending time at School from an early age should help your child to easily move into Kindergarten and beyond. They should also benefit from the continuity of the learning environment. Our programme aims to help them to feel well prepared, confident and ready for new challenges. Click here for more information on eligibility, days/times, fees and the application process.